Insolvency is the term used to describe a company’s situation where the company is unable to meet it’s debts when they fall due, and/or when their liabilities exceed their assets. The Bulgarian Insolvency law is generally governed by the Commercial Act and specific issues are regulated by the Insolvency of Banks Act (in regards to insolvency of banks) and the Insurance Code (in regards to insolvency of insurance companies). Furthermore, there is no personal insolvency in Bulgaria as it exists in the United Kingdom or in Germany. The over indebted/ excessively indebted is an insolvency ground only for capital companies (Private limited EOOD company, Joint Stock company etc.). Insolvency proceedings have several stages that take place in succession. Insolvency requests are considered immediately by the competent insolvency court. The insolvency request can be filled by the debtor, liquidator or creditor/s of the debtor and the Tax Office if there are public liabilities due. Our law firm can assist you to commence insolvency proceedings on your behalf by granting a power of attorney to our law firm. If you consider the insolvency is not the right procedure for your business, you may have a look at our article about company liquidation in Bulgaria. Pursuant to Art. 78 of the Tax Insurance Procedure Code, the debtor or the creditor has to notify the tax administration of the forthcoming opening of insolvency proceedings. Evidence of notifying the tax administration should be attached to the request to the insolvency court. The imposition of provisional protective measures is not mandatory step of the insolvency proceedings in Bulgaria. In some cases of insolvency, it may be necessary to take special measures which affect the debtor or third parties in order to prevent the insolvent assets from diminishing. These cases are governed by Art. 629a of the Commercial Act. Broadly speaking, the bankruptcy estate/ insolvency estate is the property/ assets which either belonged to the insolvent or in which the insolvent had an interest, at the date the insolvency order was made. A recovery plan may be proposed by the debtor, the syndic, creditors with 1/3 of the unsecured or secured receivables, shareholders holding at least 1/3 of the share capital, 20% of the employees. The plan may envisage deferral of the debts; partial or whole forgiveness of debts; reorganization of the enterprise; other actions, including sale of the enterprise or part thereof. In a case of adoption of the plan (approval by the creditors and confirmation by the court), the insolvency procedure is closed and the debtor may continue its business under the rules agreed upon. However, if the debtor doesn’t fulfill its obligations under the recovery plan and upon request by the creditors with not less than 15% of the receivables the insolvency procedure may be re-opened. The court order for the declaration of insolvency is effective towards everyone and shall be enforced immediately. All obligations and liabilities of the debtor become due. All rights of the insolvency debtor regarding the assets in the insolvency estate and regarding the company are removed. After the transformation of the insolvency estate into money, the insolvency administrator begins with its distribution. The distribution is supervised by the court. One condition for the execution of the distribution is that there are sufficient resources in the insolvency estate. This must be assessed on the basis of a balance sheet created by the insolvency administrator which is subject to confirmation by the court. The insolvency creditors’ claims are to be satisfied according to the respective categories of creditors. Our law firm has assisted both creditors’ to the debtor and debtors to declare insolvency in Bulgaria. 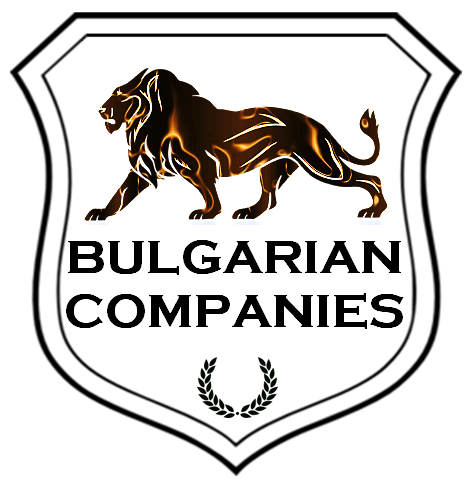 For more information about insolvency in Bulgaria, please feel free to contact us.